If you have an online business, to promote your product or service, and you aspire to reach out to your prospects very quickly…Search Engine Optimization is one of the oldest and modern in the internet marketing techniques. Keyword research is the process of determining what specific terms searchers use most frequently to find related information. The keyword research process generally involves using one or more paid or free keyword tools to determine the average number of people searching for a word or phrase per day (popularity) and then determining how many search results are returned for those keywords (competitiveness). 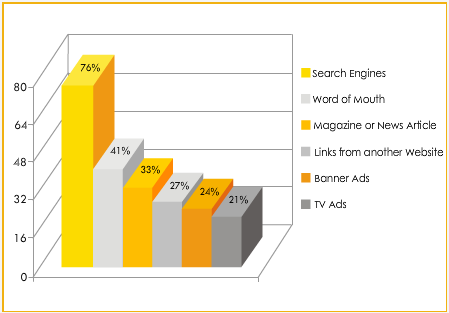 The balance between keyword popularity and competitiveness is weighed to determine ideal search engine keyword selection. Keywords and phrases strategically placed and crafted into your website can significantly boost your ratings in search engine results. Your success in the search engine optimization will depends only on your keyword selection. Our experts are following these steps in the keyword research: Website analysis, Keyword Analysis & Term Selection, page specific & Country specific keyword research and Search Engine References. This will allow you to make the best informed decisions about which terms to target. Rightly placed key phrases will bring more traffic. Your search rankings will eventually go up. Do this from the ground up, and continue to tweak your keywords and phrases for optimum search engine spider food. Onpage Promotion is to optimize your website on the desired keywords and will rank your pages higher in the search engine. So, your website will appear each time your future customer enters their product or service requirement on the search engine. This attracts your target prospects quickly. Onpage optimization takes time to make sure all the pieces are in place. This kind of optimization should occur not only on the main web page of a web site, but on every single content page within that site. Toputop do site-map creation & updation, HTML code overview; the “visible” Onpage SEO like Page Title, URL, H1, H2 tags; and the “invisible” Onpage SEO like Meta-description, include a robots meta tag, Alt Attributes, etc. Offpage Promotion is to optimize your website by employing more proven internet marketing techniques. This means your website will get back-links to attract high organic traffic. Offpage optimization are techniques you can use to help improve your Search Engine rankings but is done off your site. Which means it is done on other sites and not your own. Onpage requires you to do optimization on your own web-pages, Offpage requires you to do it off-site. We continuously train and motivate our SEO team on the above Latest Internet Marketing techniques and equip them with intelligent tools. So, you get trained Professional Internet Marketers working to generate a tidal wave of laser targeted traffic to your website at TopuTop.